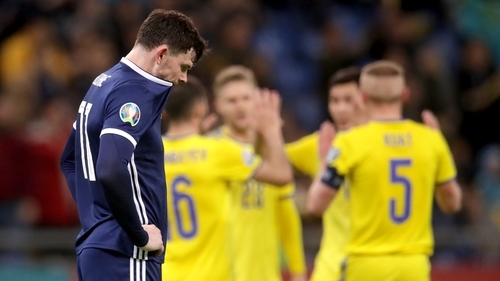 Alex McLeish's side suffered a major blow to their Euro 2020 hopes after losing their opening qualifier 3-0 to Kazakhstan. And Celtic and Scotland goalkeeper Gordon says San Marino - who sit rock bottom of the global football ladder - will now believe they can repeat the act when they welcome McLeish's shell-shocked outfit to Serravalle. Gordon - who missed out on the clash in Nursultan after losing his place for both club and country to Scott Bain - told Sky Sports: "It's tough, this is going to be one of the longest flights of their lives. "They've got six hours back to reflect on a performance that was nowhere near good enough. "A lot of fans have gone out there to watch them and they will be hurting. The players will be hurting just as much. "I've been there myself in bad defeats and that dressing room is not a nice place to be. It will be a quiet place at the moment. "They are going to have to pick themselves up after that - but San Marino might fancy their chances after watching that result. "It's important we go again and try to get a result. It's not going to eradicate that one but we need to pick ourselves up."